By Andrii Degeler , January 16th, 2019. 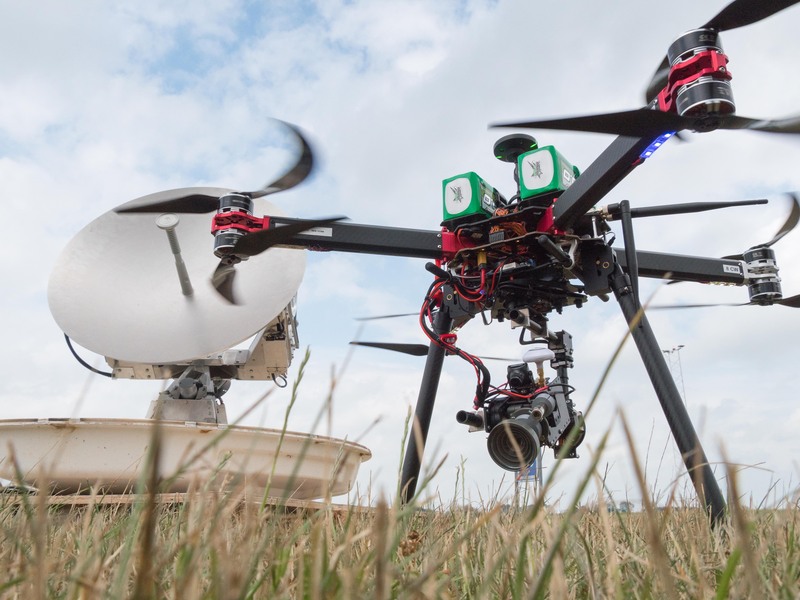 Danish drone-enabled antenna testing startup QuadSAT has raised £700,000 in funding led by Vaekstfonden (the Danish Growth Fund), with participation from Seraphim Capital and existing investors. The company plans to use the funding to bring its antenna-testing platform initially focused on maritime and aeronautical applications to the satellite communications industry. Founded in 2017, QuadSAT has actually been around longer, as it started as a university project. The main idea behind it is to use drones to test and calibrate satellite and VSAT antennas. The drone can mimic an orbiting satellite and simulate a ship or aircraft’s motion, which increases the accuracy of testing. The startup is based at Odense Robotics Startup Hub, a Danish accelerator programme for robotics and drone startups. It’s also gone through the Seraphim Space Camp accelerator in the UK.